To be creative, to make great spirits, and to promote sustainability. Mythology sources grain and other ingredients locally to help us ensure quality and constancy of each batch. Each Mythology spirit is distilled in our Vendome Copper still that results in our ability to deliver an exceptional and consistent flavor profile. 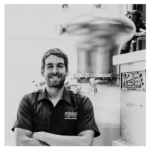 Scott Coburn’s background in chemistry and mathematics led him to a career as a distiller for High West Distillery and most recently managing their production. While at High West, his efforts contributed to the company being named Distiller of the Year and receiving multiple gold medals for their bourbon and rye whiskey. 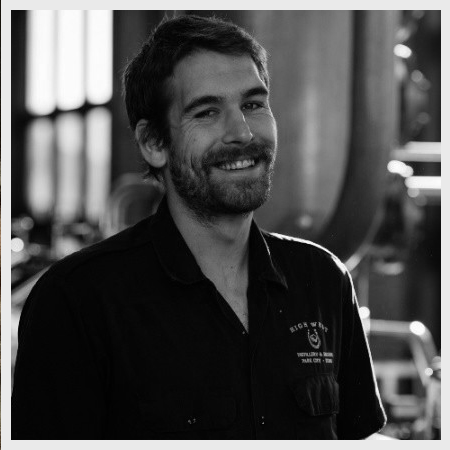 As Head Distiller of Mythology, Scott is the leader of our team in managing the production of craft spirits. Scott’s combined distillation experience and passion for sensory analysis results in providing our customers with an exceptional spirit. Scott joined Mythology in part to push creative boundaries and we’re very excited to see what small-batch special releases he dreams up. A native to Park City, Scott stays true to the mountains and is an avid rock climber, skier and recently started running in ultra-marathons.